Newbie to this group. I've been using PocketWizard FlexTT5(s) on Canon 5dII for at least 2 years and PWs have always been reliable, rarely miss any shot. Since moving to Fuji-X system, I've been looking for an alternative to ETTL+HSS and finally after reading many positive users comments, decide to get Cactus V6II. It took me a while to read through manual/blog and after several "Learn HSS" tries, it finally works. However, the problem I have is with the trigger's consistency. Even with both flash & camera are next to each other (not about the radio range), there are so many trigger misses. Sometimes, 4-5 in a row and hit twice then miss again. The overall "hit" rate is very low ~30-40%, very frustrated. I only shoot in "single" shot mode, ensure flash power is already ready before the shot. Battery is fresh in both flash + triggers. According to Lilo, he reported a higher rate, 75%. That's at least reasonable but not what I get. If I could not figure out soon, I would have to give it up. Try setting the work range (under "RADIO SETUP") of the V6II transmitter to "SHORT". If the transmitter is within close proximity of receivers, the latter can experience radio signal overload. Changing the range setting to "SHORT" fixes that and will still leave you with a very comfortable work range. Unless you go outdoors and try to attempt some long distance triggering, "SHORT" should do just fine. I always set my transmitter to "SHORT" and have never needed to change it back to "LONG". Thanks. I saw the comment and tried that afterward. Although it helps but still missing shots. I tried it outdoor today and either way, SHORT/LONG, trigger fails 1/3. I will try more actual shoot with my kids during the break and if they don't improve, I will probably return. ... , there are so many trigger misses. Sometimes, 4-5 in a row and hit twice then miss again. The overall "hit" rate is very low ~30-40%, very frustrated. When it missed, did the flash fired? Or it fired but flash did not sync? What shutter speeds were you shooting at when it missed. More precisely, were you adjusting the shutter speeds above and then below X-sync speed? Did you manually turn on Forced HSS when shooting above x-sync, and vice versa? 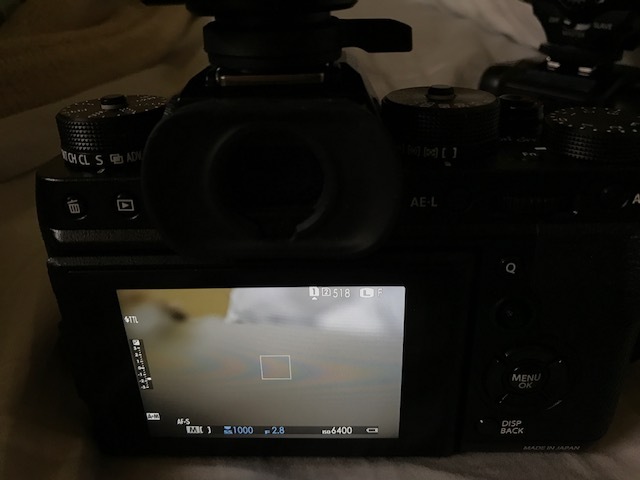 Does it makes a difference if you let the V6 II RX auto-detect the flash? And not manually choosing 580EX*? >> When it missed, did the flash fired? Or it fired but flash did not sync? >> What shutter speeds were you shooting at when it missed. More precisely, were you adjusting the shutter speeds above and then below X-sync speed? At different ss , all above 1/250s of X-T2. The miss can occur every time I adjust either flash power / shutter speed during my testing. Again, I'm just trying to get consistency right now. I dont' yet worry about if the subject get exposed properly. >> Did you manually turn on Forced HSS when shooting above x-sync, and vice versa? *** Occasionally, I accidentally turned it off due to the current "flaw" design of this option. Honestly, I would strongly request that this "force HSS" to be in separate menu so users don't accidentally change it without notice. 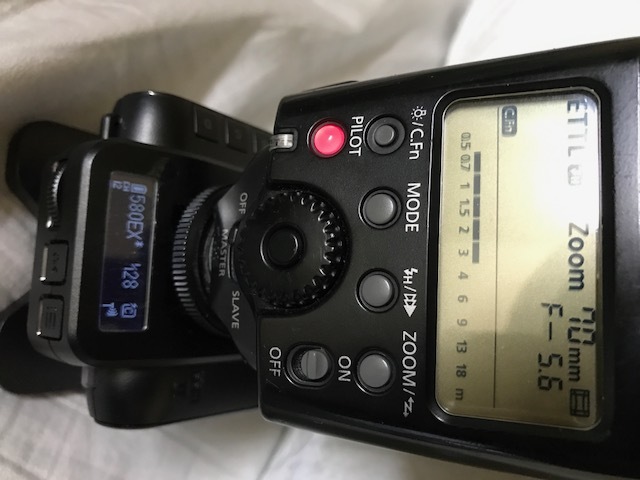 >> Does it makes a difference if you let the V6 II RX auto-detect the flash? And not manually choosing 580EX*? I will try to reset and let Cactus auto-detect both Camera & flash later. Thanks for your replies, @timelessfoto. We did have the 580EX before but I could not find it so far. It could be with our QC staff. I will check tomorrow. We only have the 580EXII in the studio. Thanks and keep us posted. I just tried "Auto Canon" flash setup and the flash is now triggered every time at ss above x-sync, which is a great improvement. However, ~2 out of 10 times when flash is fired but not sync-ed properly. As a result, those shots are getting no actual flash. [update] Also tried with Canon 580EXII. I shot 10shots at same setting and same result. 2 out of 10 times where flash is not sync-ed properly and those 2 photos are not getting the light as the result. And yes, [Canon 580EX] profile will result in misfire with both flashes so [Auto Canon] works best so far, except the flash-sync issue I mentioned. Otherwise, flash is triggered every single time at 1/500s --> 1/8000s. Flash power seems to adjust properly too. On the other hands, Flash sync works very well on my X100s, which is surprising. I was able to sync up to 1/3200s in a short test. Will test more in daylight. Tried it outdoor today, exposure is ~1/2000s, f/3.2, flash power 1/8s. With flash profile set to "Auto Canon", flash failed to sync 3 out of 4 times consistently. Tried to switch to "Canon 600xt", again it's a bit better but still miss half of the shots. Note that, flash did fire in all shots. At this point, I don't think it's useable for me. I cannot shoot portraits with half of the shots missed. It's something to do with the camera. It definitely has nothing to do with indoor vs outdoor, but the the rather jumpy timing on Fujifilm cameras. camera uses. So when you take the shot in HSS mode, it could be a miss. So for now, you simply need to redo LEARN HSS. Test if you are able to consistenly fire and sync the flash. That said, we estimate a full Fujifilm firmware be ready on the V6 II in Q1 2017. Thank you and we appreciate your patience in the meantime.